Campaigners and activists in Egypt and internationally were today celebrating the release of Malek Adly, a prominent human rights lawyer and activist who was arrested in May this year and held in solitary confinement on charges relating to the 25 April protests over the Tiran and Sanafir Islands. His legal team successfully challenged a further extension to his pre-trial detention, and the court ruled that he must be released immediately. Malek’s detention and the terrible conditions he endured in prison sparked a major campaign in Egypt and across the world. Just a week ago, leading lawyers from around Europe published an open letter calling for Malek’s release. Signatories included Richard Harvey QC and John Hendy QC; Professor Bill Bowring, Professor of Law, Birkbeck, University of London, UK, Bjorn Elmquist, Chairman of the Danish Legal Affairs Association and Thomas Schmidt from European Association of Lawyers for Democracy and World Human Rights ELDH. The letter was widely reported in the Egyptian media, and followed similar protests by the Council of Bars and Law Societies of Europe and the United Nations’ Working Group on Arbitrary Detention. Malek may still face serious charges, but his release means he can return to his wife and young daughter, and get treatment for the health problems he has suffered as a result of his time in jail. 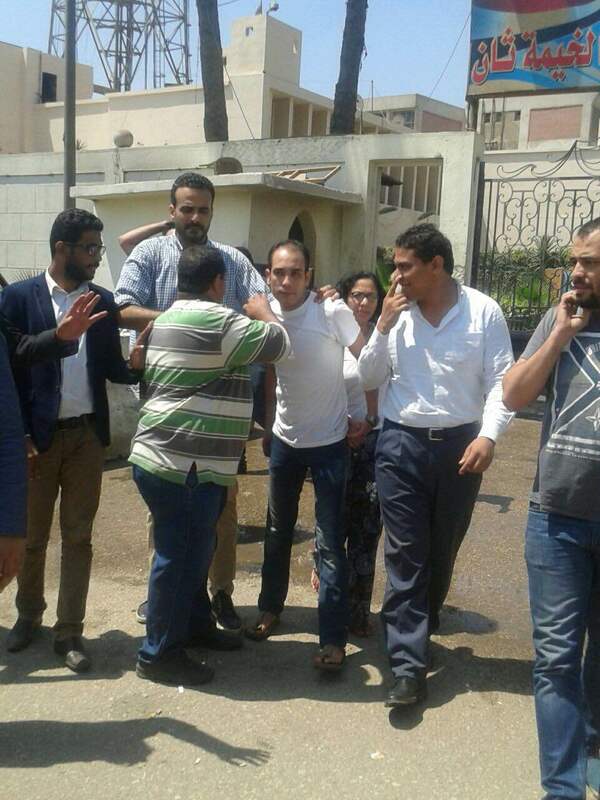 Other activists to be released recently include campaigning doctor, Taher Mokhtar, whose pre-trial detention was also successfully challenged by lawyers, while Mahienour el-Masry and Yousef Shaaban were released at the end of their 15 month sentences. Thousands of other political prisoners remain in jail, however, including workers from Alexandria Shipyard and labour lawyer Haitham Mohamedain.